Safety is paramount, wherever you are working and whatever you are working on, and here at Roofing Superstore we are proud to offer a range of products and accessories from Scruffs. 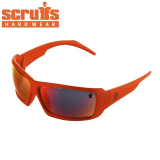 Scruffs has been developing and manufacturing innovative safety workwear, footwear, accessories and other PPE, loaded with creative ideas and high tech materials. 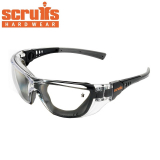 Browse through the links below to find out more about the range of Scruffs safety glasses. 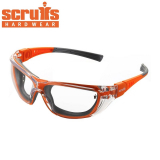 Despite not looking like your classic bulky, scientific safety glasses, each pair of safety glasses from Scruffs has been CE rated to EN166. 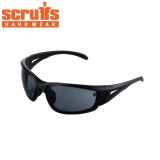 All safety glasses from Scruffs have been designed to protect your eyes, whether you're working on welding, breaking up materials, or dealing with chemicals. 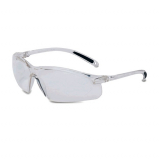 Choose from a range of designs and colours, from bright orange safety glasses, to glasses with smoked lenses to add extra style. Want to know more about a particular product or have any questions? Our team of experts is ready to help, simply call them on 01752 692760 or use the live chat in the bottom right hand corner.